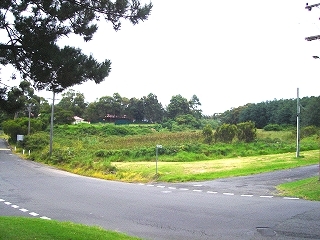 The creek running beside the Old Mine Surgery, the home of the Historical Society and the Cox Memorial Museum, is known to the Council as Helensburgh Creek, officially mapped as Helensburgh Gully, and known to the locals as Chinaman’s Creek. It got the name Chinaman’s Creek because it ran through the Chinaman’s Gardens. In the late 1800s right through to the 1940s, a group of chinese men conducted a market garden on the land now partly occupied by the Holy Cross School and playgrounds. The lower section of the gardens on Junction and High Streets remains vacant land. The site is approximately four acres, with the creek running through the middle of the land. The gardens were fenced with a mixture of rough bush timber posts and rails. In some parts there was wire netting nailed to the posts, but for most of the perimeter, the fence was covered completely with the tallest and bushiest blackberry bushes that could ever be imagined. There were two entrances to the property, one about half-way along the High Street fence. This gate was fitted with a tall wooden gate which was approached in both directions by a long tunnel-shaped arch of blackberry bushes. The other entrance was over on Parkes Street, near to the Junction Street intersection. These were large wooden double gates surrounded by giant bracken ferns which were massed in this part of the land. The double gates provided access for the Chinamens’ horse and cart which were used to carry their produce around the town. Almost all of the land inside the blackberry boarder was under cultivation. The number of people working the land seemed to vary, with sometimes as many as five or six people working the land at one time. Some of the workers were permanent, while others came for short periods of time. In the drier area of the land, along the McMillan Street side, there were beds of potatoes, pumpkins and other vine crops. Toward the back of the land there were peas and beans. On the land closer to the banks of the creek there were lettuce, tomatoes, onions, carrots, with almost every variety represented. The only building on the property was a combination cook-house, living quarters and produce store, with a shed for the horse and cart. The building was made from unpainted weatherboards, silver-grey from years of bleaching, and had a rusted corrugated iron roof. The part of the house that most customers saw was from the back door which opened into the kitchen. The kitchen was always filled with smoke from the constantly burning open fire. The fireplace took up the greater part of one wall. There was always an array of large steel cooking pots with heavy black lids, dangling from blackened chains that disappeared up the chimney. In this array of pots and kettles, water and food bubbled merrily away. The interior of the weatherboard walls were pasted with chinese newspapers which were dark brown from age and smoke. Most small children, who were game enough to venture into the garden to make a purchase for mum, were dumb-founded at the sight of the shelves of old bottles and jars, most often filled with very strange looking ingredients. Then there were the shrunken shapes of poultry hanging from the mantle shelf. These were a sight not to be forgotten. In the earliest days of their settlement in Helensburgh, the Chinamen went from door to door with long coolie poles over their shoulders, and baskets suspended from each end of the poles. Later, the horse and cart were introduced. Sammy Hop was one of the best remembered. Many of the old mine workers remember him going into the Centennial Hotel at the end of a hard days work and ordering “one lum, and one to follow.” When too many followed, he would be assisted onto his cart, usually in the evening some time. The horse, unguided by the dozing or singing Sammy, depending on his state of intoxication, had an uncanny sense of direction and road rules. Both would arrive safely at the gardens. After the Chinese gardeners left, the late Mr Peter Denaro and his wife, the parents of Roy, Jim and Maria, took over the gardens and ran them for several years before establishing their fruit and vegetable shop in town, with supplies from Darkes Forest and the Sydney Markets.